Source: eARC from publisher via Net Galley for honest opinion of it. I was really hoping that this would be a great friendly vampire story kids to enjoy for Halloween. Harold was friendly indeed, but he fell a little flat for me as a character. The book is set up in comic book style, which seemed to be good idea for the older kids but unfortunately, the plot just couldn't keep our interest piqued. From a mom's perspective, I understand the moral hidden among the funny images and story line and I couldn't agree more with it. But the delivery of it just couldn't be carried through enough for my kids to take anything away from reading this. I also would have liked a little more variety of colors instead of the dull monotone of green and black throughout the novel. 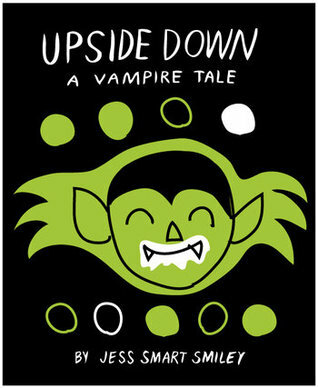 Even though this wasn't something that could keep us entertained; if you like funny vampires, a mean witch, and the dentist, this unlikely combination might just be what you are looking for. We gave it 2 stars. What an interesting idea to make a balloon the main character! My younger sons loved this concept. Just think: Poppy could be one of those balloons that little kids have unwittingly let go only to watch them float high up into the air off to another place. I loved that this helped the younger children relate to Poppy. It was fun to meet the forest animals that helps Poppy solve his problem. Everyone had a favorite. Mine was the snake. We enjoyed reading the snake's voice, especially putting a lot of emphasis on the "s" sound. I would give this 3 stars for the fun we had reading it together. The plot was simple for young kids to understand while the illustrations weren't very elaborate to cause too much stimulation. 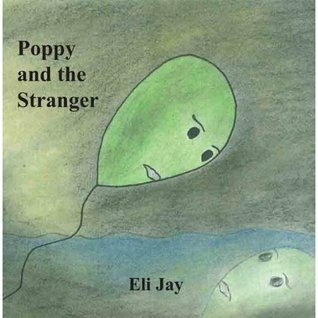 Now let's hear what my sons thought of Poppy and the Stranger. I loved Poppy! Balloons are so much fun to play with anyways. My little brother, Jace, and I always like to pretend our balloons have special powers that make us superheroes. This story was pretty funny when Poppy was afraid of the stranger following him. I knew who it was the minute we read it but I didn't want to give it away for my little brother. This story was easy for me to read, even though I liked my mom reading it to us too. I also loved all the green in the book. This is one of my favorite colors, besides yellow, and I really liked all the pictures. My favorite animal was the fox. It was nice to meet a helpful fox instead of the sneaky ones in most kids stories. Poppy is a great friend and I can't wait to read some more of his adventures! Mama wanted to read us a new book about a balloon that gets scared of something that he sees following him. We get to see him ask all of his friends what they think the stranger is. I got to see an owl and a fox and a snake but my favorite was the Bear. He seemed so nice and it was funny because he lived in a house instead of a cave. I laughed a lot at that. I liked the pictures a lot. They made the story really fun to listen to and my older brother, Mikey, could read it to me too. We read it a bunch of times the next day. I loved this story so much I can't wait to get a new balloon. I am going to name it Poppy!